Time to shine a spotlight on another foodie fave of mine. 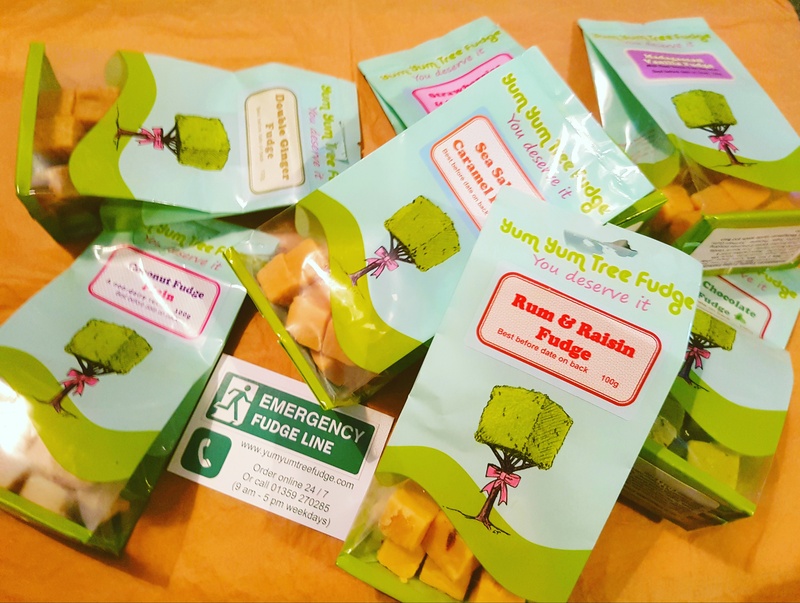 Made in the UK in a range of delicious flavours, Yum Yum Tree Fudge is made with more dairy than most fudge – except for their dairy free fudge that is! I took advantage of a recent offer and made an order of a bunch of flavours, they have an extensive list of choices, offering not only dairy free but also diabetic friendly fudge. Flavours I picked; Double Ginger, Rum & Raisin, Strawberries and Cream, Chocolate Mint, Salted Caramel, Madagascan Vanilla, Dairy Free Coconut. The dairy free one is made with coconut milk – my only complaint is that it’s not quite coconutty enough – some desiccated coconut in there would boost the flavour. The fudge can be stored in the fridge or even frozen – if you can resist that long. To order visit their website, my delivery was super quick and totally satisfying. Previous PostThe future of beauty?